Discover an award-winning indie, revisit a classic Star Wars title, and more! Into indie? Don't miss Code 7 - Episode 0: Allocation, an award-winning, text-based adventure where you use computer hacking skills to escape! Those of you wanting a trip down memory lane will love this one! Star Wars Jedi Knight Dark Forces II is now on Utomik! Discover if the way of the Jedi is for you, and see if you resist - or embrace - the temptation of the dark side! Z-Exemplar is a newer indie title, but it can still take you down nostalgia lane! 8-bit shoot'em ups have never felt so good to play, and this one pays an homage to classics like Nemesis and R-Type. Looking for something to give you the feels? 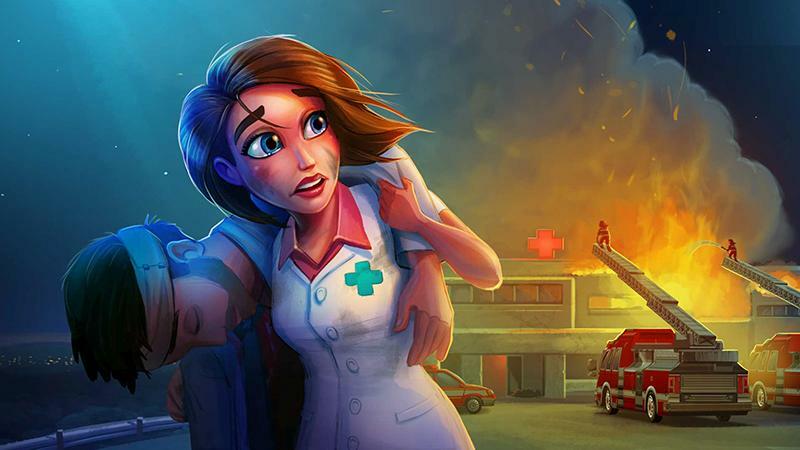 Heart's Medicine - Hospital Heat is perfect for those who want something with more story-driven game play. Just be sure to have your tissues ready! Finally, if you're in the mood for something a bit eerie, Kronville: Stolen Dreams can help you out. Solve the mystery of 12 children's disappearances, and see if you can stop a madman from gaining immortality!